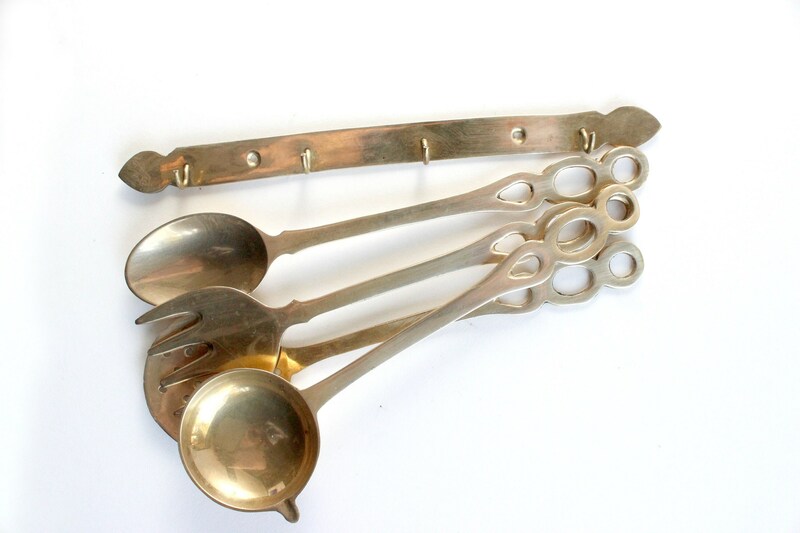 Set of 4 - Vintage brass kitchen utensils plus hanging rack. 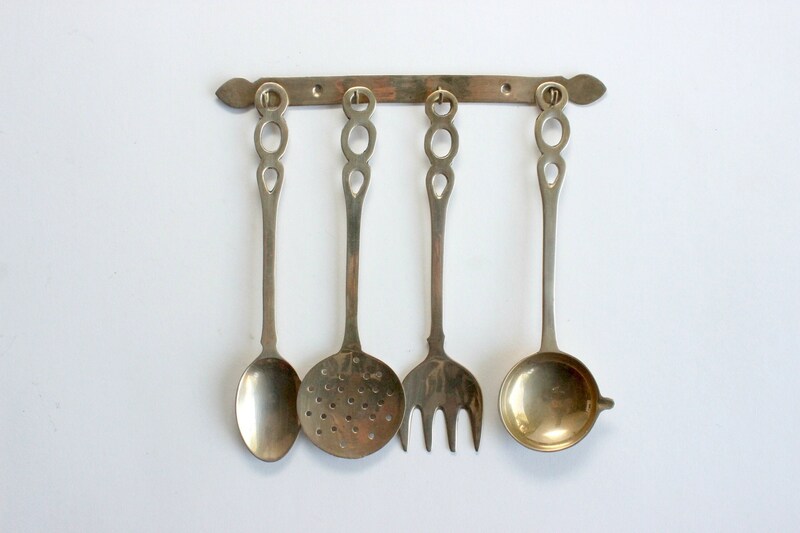 Set includes a fork, spoon, ladle and skimmer, plus a hanging rack with four hooks. The hanging rack has two holes for installing screws. Hardware not included. Great decor for a vintage inspired kitchen! Good vintage/used condition. 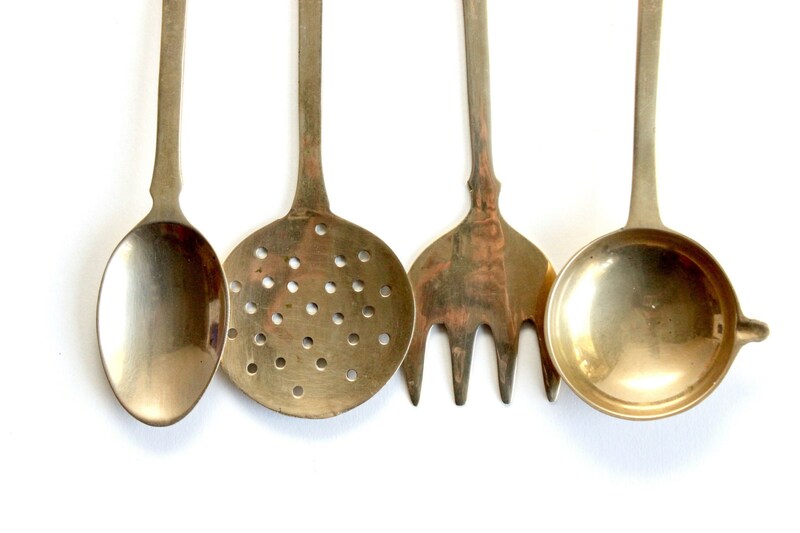 Light patina. Some light scratches. 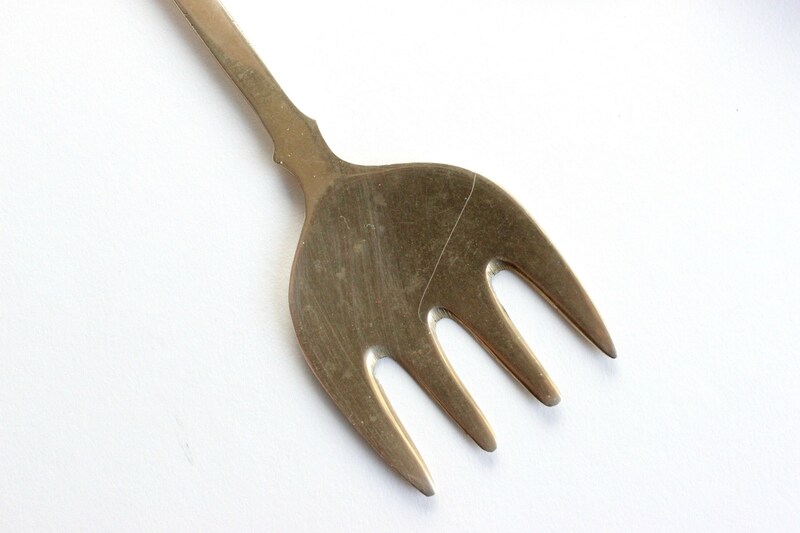 One noticeable scratch on the fork. See photos. 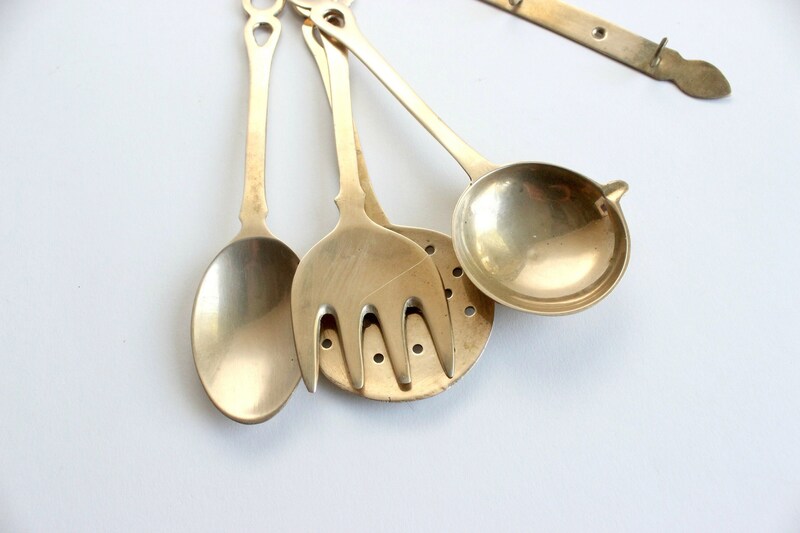 These are small utensils. Each one measures about 8 inches long. 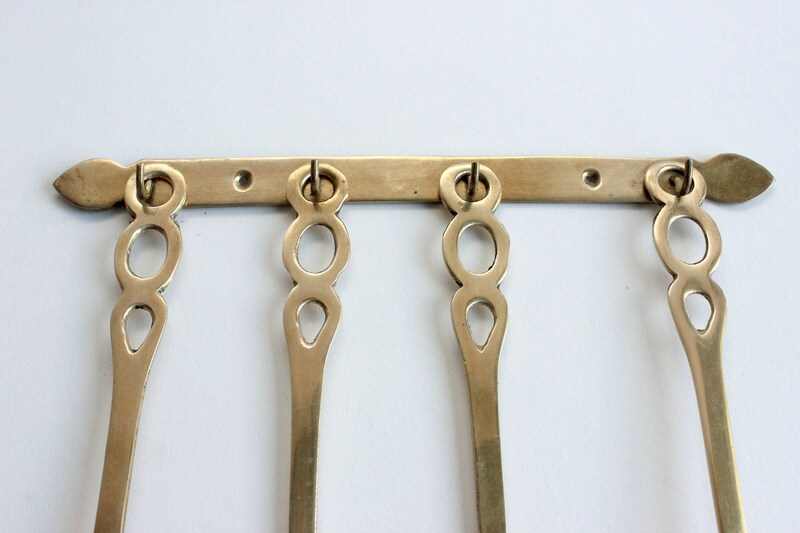 The hanging rack hangs horizontally and measures 8.5 inches long.